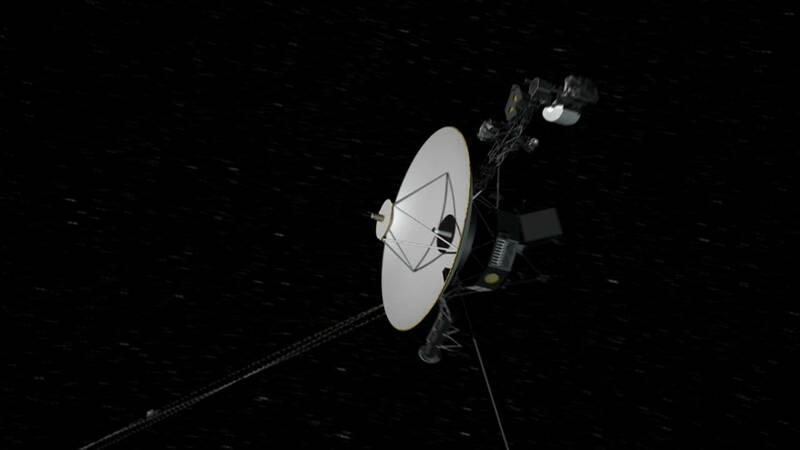 The Voyager spacecraft were the first probes to catalogue our solar system’s outer planets, and are now flying deep into space, becoming the most distant man-made objects ever. Launched 40 years ago, in August and September 1977, the mission took advantage of an unusual moment to visit everywhere from Jupiter to Uranus. The two probes made a string of discoveries, such as the active volcanoes on Jupiter’s moon Io and the intricate nature of Saturn’s rings. Even now, Voyager 2 is the only spacecraft to have passed close to Uranus and Neptune. The two probes took different paths into deep space, but are both beyond the orbit of Pluto. As of February 2017, Voyager 1 was at a distance of 20.6 Billion Kilometers and Voyager 2 at 17 billion kilometres from the Sun. The Voyager mission should continue to tell us useful information about what’s known as the ‘heliopause’, the area of space where the Sun’s influence comes to an end, and interstellar space begins. The spacecraft are expected to operate until the 2020s, when they will run out of power and the ability to send data back to Earth. However, they will carry on flying through space for millions of years, and will likely end up in the celestial swirl around the Milky Way’s central black hole.